Add Roxy necklace set to a black evening dress with a deep cutout or simply put it over a simple top. 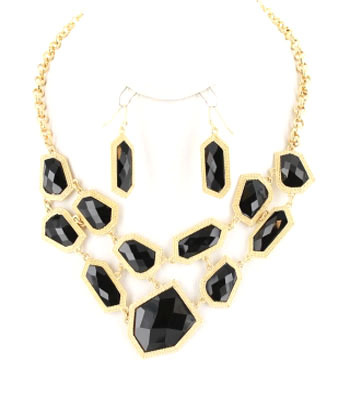 The necklace has two rows of faceted black stones of irregular shape and of different size. Adjustable gold chain, drop earrings. Add style to any outfit with this stunning costume jewellery item, buy now!